After the Civil War, Connecticut's cities and towns dedicated 140 monuments to honor the more than 55,000 men who fought in the conflict and the memory of the 5,300 residents who died during their Civil War service. The second edition of Civil War Monuments of Connecticut highlights these granite and bronze tributes to the memory and sacrifice of the state's Civil War veterans and heroes. From Greenwich to Stafford Springs, and from Sharon to Stonington, this illustrated guidebook explores the state's monuments, the artists who created them, and the soldiers they honor. 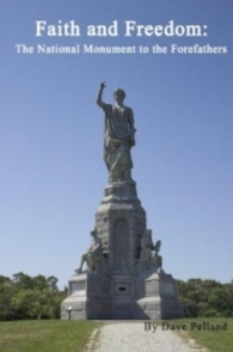 The National Monument to the Forefathers, in Plymouth, Massachusetts, was dedicated in 1889 to honor the religious pilgrims who helped to settle land that would become the United States, as well as the core values — faith, morality, trust in law, education, and liberty — guided the settlers as they established their community. The largest solid granite monument in the United States, the Forefathers Monument stands as a tribute to the founders, and the beliefs that inspired their journey across the ocean and provided a foundation for the society they created in the New World.